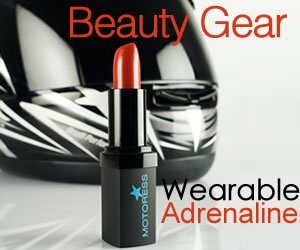 Motorcycle gear has made “biker” statements throughout motorcycling history. Take the classic biker jacket for one which today remains an iconic style piece for anyone who wears it. In fact many people enjoy wearing biker gear without even owning a motorcycle. Motorcycle riding gear is as huge a part of motorcycle riding as the ride itself. You’ll need to ensure your gear keeps you safe and that it’s comfortable. Riding in the cold, extreme heat or a downpour of rain can be distracting to your focus to the road. And it sure makes for one unpleasant ride if you’re not prepared with good motorcycle gear. 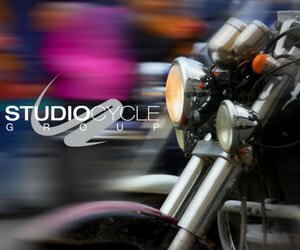 Our guidelines here to buying motorcycle gear will help you make the best choices for your particular riding lifestyle. And once your initial investment is achieved, you’ll be set for a few years! 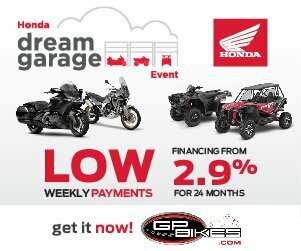 Each type of motorcycle activity has its own special range of gear. If you ride off-road, or compete on a race-track, you’ll need gear designed for these styles of riding. Yet the first buying decisions can be a challenge particularly today when there are more options than every before! Jacket: armour in elbows, shoulders and an internal back protector. Pants: sturdy material with armour in knees and hip area and allow for flexibility. Sturdy Boots: boots which come above the ankle and cover the ankles for protection. A grippy sole and without laces if possible. Laces come undone and can catch on footpegs. Gloves: Leather is your best bet. Gloves should cover and extend beyond your wrist bone (gauntlet style). If not fully leather be sure at very minimum the palms are fully leather. Gloves should have no open areas exposing skin and be flexible enough for good use of levers/controls. Tip: Careful not to buy too small. 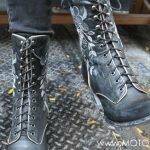 Should I Buy Leather or Textile? LEATHER: Leather has always been and still is today the best established material for motorbike riding. It’s tough, and performs like a reinforced second skin. It provides excellent protection against blows and scrapes plus its longevity is worth its price. You can choose modern or retro classic styles right off the rack or opt for something made to measure-which personally I find the best solution (you can also have standard garments fitted). One drawback to leather is that it isn’t always waterproof and will remain wet when exposed to water. There are many brands that combine a waterproof membrane or lining (usually removable) which solves the problem. Leather though breathable tends to be too hot in summer and not warm enough in winter so layering clothing is usually a combined accent when wearing leather. TEXTILE: Today’s textile garments have come a long way since the classic waxed cotton of earlier eras (still made by Belstaff by the way!). They’re waterproof, breathable, reinforced with Kevlar or use comparable fibres to leather for ultimate protection. They’re extraordinarily cool and/or warm when required. It’s common that textile jackets and pants come with removable linings, as well as inside pouches for adding or removing armour. You’ve got to be you! Your personal style and colour preference should be of course incorporated into your gear choices, but firstly it’s the type of riding you’ll be doing which will be the first lead to the type of gear you’ll purchase. Fortunately today there’s no lack of style selections be it classic, trendy, urban, vintage or cruiser. Even enduro or touring gear is a category with wide choices. 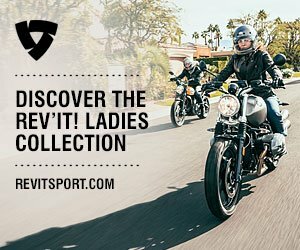 Each motorcycle manufacturer also produces their own line of high quality clothing with a great diversity of choice! Riding on the Track? If you enjoy taking your sport bike on the track you will want the reassurance of leather, in fact many lapping events do not permit textile. Best style is an overall or a one piece suit. A two piece suit that zips together is the next best thing, however, if a mishap occurs such as a high speed crash, the sliding you’ll do can actually be too much for the zipper and your pants could detach, come off and fail to protect. Once again, a one piece is usually a requirement on the track and a regulation if you decide to race. Garments with armour added should have and wear the CE approved stamp on them confirming their composites are up to the task of protecting you-fairly similar to the rating system developed for helmets. You should check these-yes pull them out and inspect. Armour is generally not found in older leather styles or motorcycle garments but is truly an important component of proper gear. It will add extra protection to knees, elbows, hips and back. You can purchase upper armour vests that can be worn underneath or over your jacket. 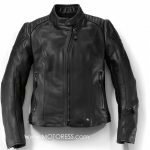 Your motorcycle clothing has many demands to satisfy. It’s to keep you comfortable in various environments but needs to keep you safe. You need it to keep you warm and dry, but cool and ventilated in the warmer seasons. Even more important, it should protect you if you come off your motorcycle or scooter. And finally you want it to fit well, not be too big and gather air – and look stylish too! One-Piece Or Two-Piece Riding Suit? 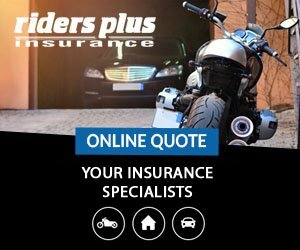 When you’re riding, a one-piece suit offers better protection from everything including weather, but once you get off the motorcycle it can be cumbersome and make toilet stops more difficult. If you go for the convenience of a two-piece suit, where jacket and pants zip together, ensure these fasteners overlap well preventing rain or air from getting in. 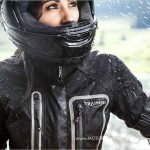 Rather than go for a waterproof outfit, you might prefer to get a separate rain suit which is designed specifically for motorcyclists. This is made to go on over any gear you wear. You’ll only have to use it when it rains. Rain suits are usually highlighted with built-in reflectors or brighter colours aiding in your visibility to other traffic in dark rainy weather conditions. They fit well with good closures over wrists and ankles, and usually have double closure methods to ensure you stay dry inside. Keep in mind that your rain suit is worn over your usual protective gear so be sure not to buy a size too small. It should easily go on and come off over your boots, without having to remove your helmet. It should be roomy enough to move around when riding. So be sure to check this out before you leave for your long tour. Rain suits usually pack away into an included easy-to-carry pouch to make them easily transportable and even easier to stow in the top of your panniers or easy to grab tank bag. 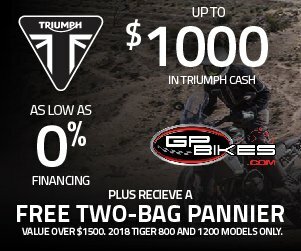 Buying your complete motorcycle outfit can seem expensive, but motorcycle gear is durable and will last for several years. Consider it an investment in your riding safety and pleasure. The GOLDEN RULE to follow is, you get what you pay. This is the same for most sporting goods. 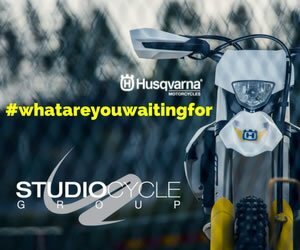 Some manufacturers such as BMW or Ducati are known for a higher end product, but as in their name alone, you can trust you’re getting top quality and design. When trying on jackets and pants or leather suits, be sure to sit on a motorcycle. This will give you a more realistic feel to the clothing and what you can expect when riding. Look for such things as: do the sleeves cover your wrists? Does the jacket ride up at the bottom of your back? 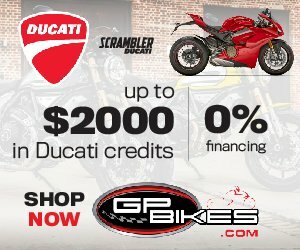 Are the pants comfortable enough for long hours of riding/sitting? Can you turn your head freely for those traffic checks over the shoulder and do you have room for warm clothes underneath if you need extra layers? You may be tempted to ride without proper motorcycle gear. It is, ultimately, your choice. However, bear in mind that a simple t-shirt will be shredded from your body in milliseconds during a road skid. 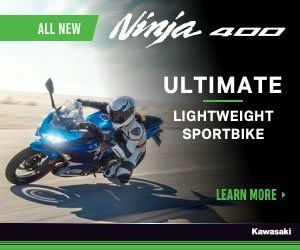 Riding gear can be purchased through your local dealership, but you can also find large selections of new or nearly new items online even through your local dealerships website. However, trying the gear on before you buy is best practice. Try to wear something that makes you more visible, a jacket with reflective trim perhaps, or get a hi-visibility vest you can slip on over your jacket; then stow when you arrive. Gear for touring or cruiser style motorcycles will be different from enduro, moto cross or track/sport riding. Just as your stilettos are different from your Mary Janes. Have fun looking cool and riding safe!